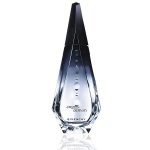 Giorgio Armani Code Luna perfume reveals both sides of the celestials eductress' personality: an interplay of shadow and light, where fluid femininity is matched with feline sensuality. She is enthralled by the moon's pale hypnotic light, caught between the desire to resist and the temptation to succumb. 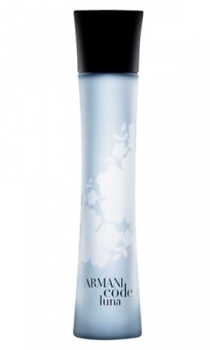 Giorgio Armani Code Luna begins with sparkling bergamot notes, green accents of bitter orange essence, and a pear chord, over a core of orange blossom absolute and moonflower and a rich seductive base of Vanilla Absolute, Osmanthus, Tonka Bean and Cedarwood.